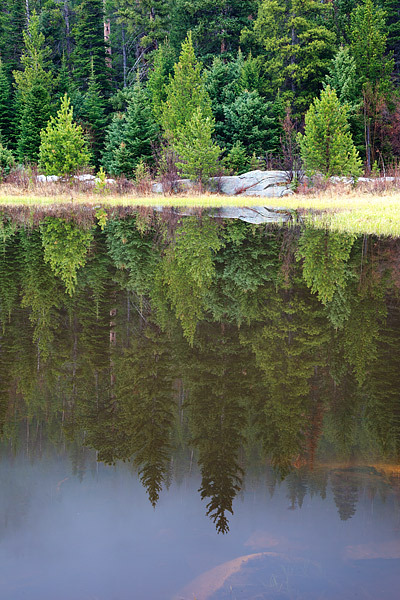 Fog reflects in this small lake located between Moraine Park and Cub Lake in Rocky Mountain National Park. The combination of new growth and old growth pines combined with the foggy wet conditions made this scene to difficult to pass up. I've hiked past this locations dozens of times, but the weather conditions and the varrying hue's of green this morning caught my eye as I hiked back down from Cub Lake. Photo © copyright by Thomas Mangan.